Some of the most recognizable poker stars, both "live" and online, got their start playing poker at an early age. According to the law, it was too early of an age. 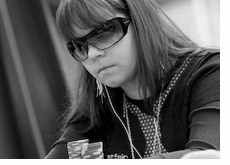 Annette "Annette_15" Obrestad started playing poker online when she was 15 years old; hence the name, "Annette_15". Phil Ivey used to play poker in a casino using a fake ID. He would keep his head low so as not to attract any suspicion. He went back by the fake name of "Jerome", spawning one of his nicknames, "No Home Jerome" because of the many hours that he put in at the casino (under a false name). Many other well-known players got their start playing "illegally". Many popular online players got their start while playing in high school, such as Jeff "Actionjeff" Garza and Jimmy "Gobboboy" Fricke. Now, the simple question for you, the reader is - what is your take on underage gambling? Do you think that it is acceptable? You probably had an immediate reaction to that question, and that reaction is almost certainly based on your own current circumstances. A young reader of this article will likely immediate think that underage poker playing is fine, because they are young and possibly underage themselves. However, if someone is reading this article and they have kids of their own, they are likely to have a very different reaction. They are likely to think that their kids should not be playing until they are of the proper age, which is usually either 18 or 21, depending on where you are living. If you had a kid and they were 15-16 years of age, would you want them playing online poker? Would you forbid it, which is what many parents do, or would you help your child to play online? Some parents of well-known players willingly allowed their kids to make accounts in their names so that their kids could play online. What do you think about that? Ok or not ok? Also, let's say that you think that it is ok for your child to play poker online. You are likely naturally assuming that they would be a winning player. What if they were a losing player? Would that affect your views? What if they had tilt issues and blew through their paychecks every weekend? As I said, your stance on this will almost entirely depend on your current circumstances. The more that you think about it, the more complicated the answer will likely become for you.